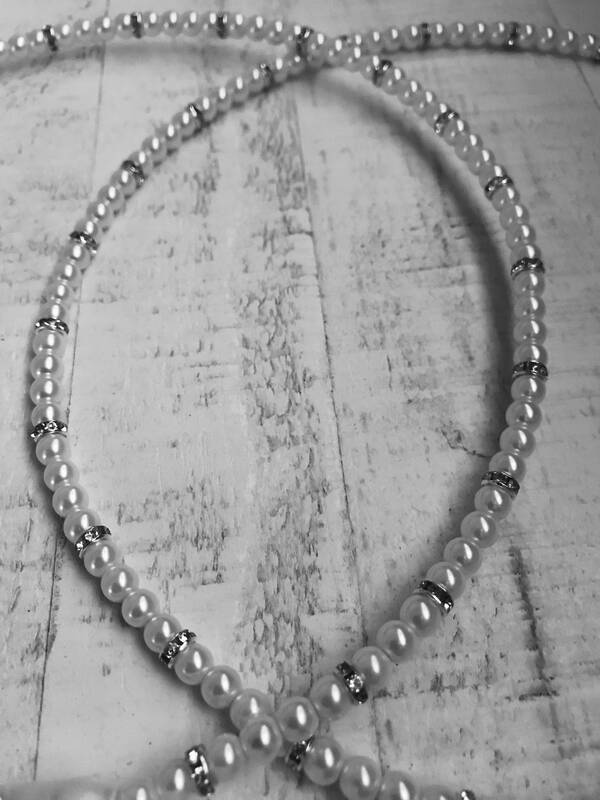 Pearl Stefana - Greek Orthodox Glass Pearl Wedding Crowns. 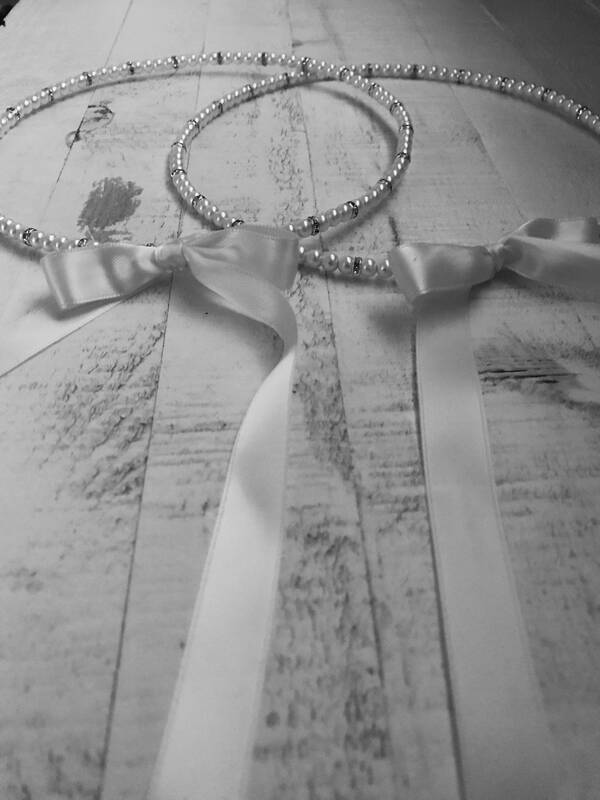 A delicate pair of stefana that is sure to keep all eyes on you on your big day. 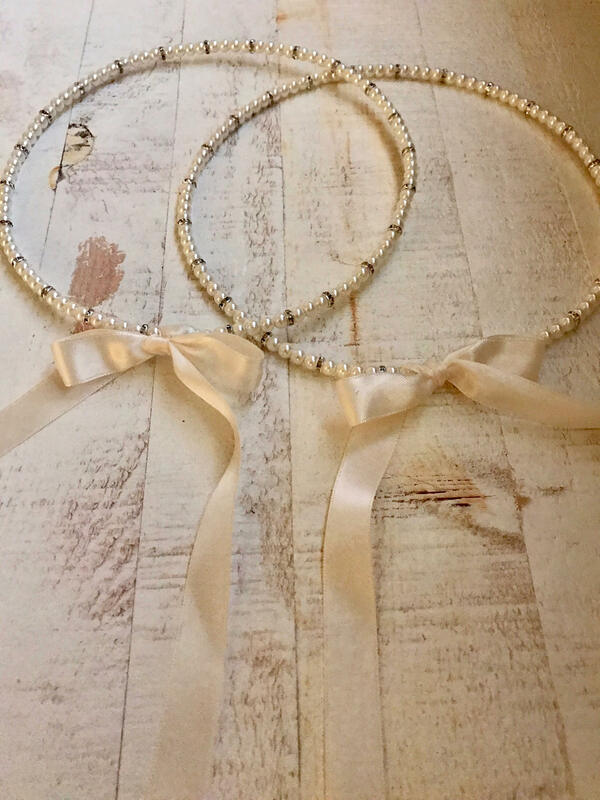 These lovely bridal crowns are handmade with silver plated stainless steel wire and finished with glass pearls and silver rhinestone spacers. 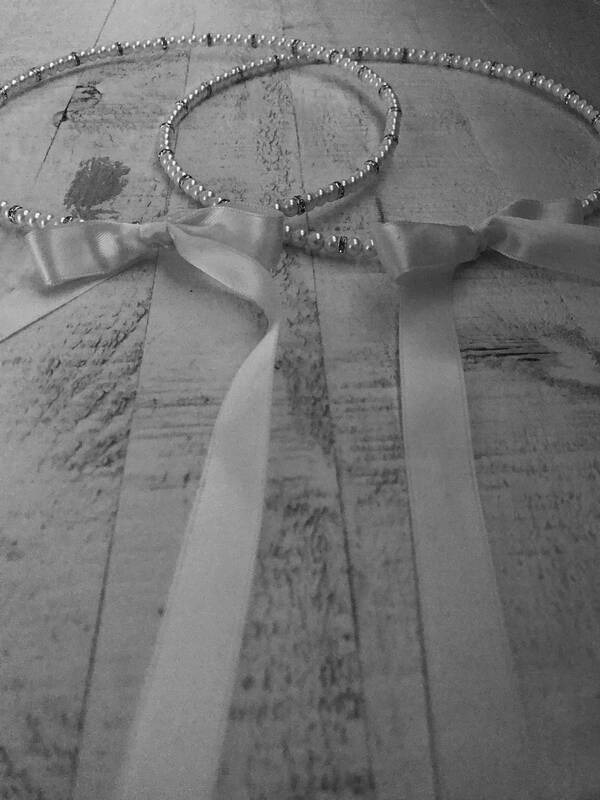 The crowns are attached with double sided satin ivory ribbon. 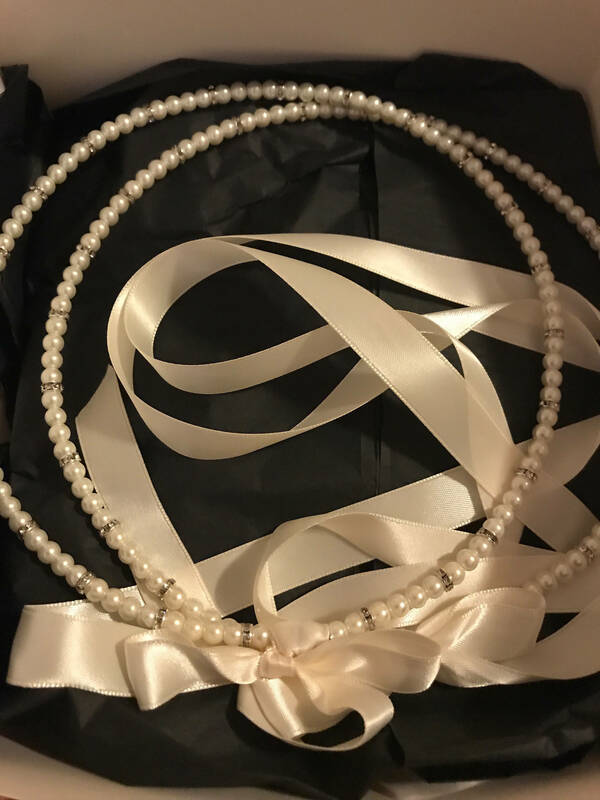 I purchased beautiful stefana for my koumbara’s wedding! Communication with Haroula was excellent!